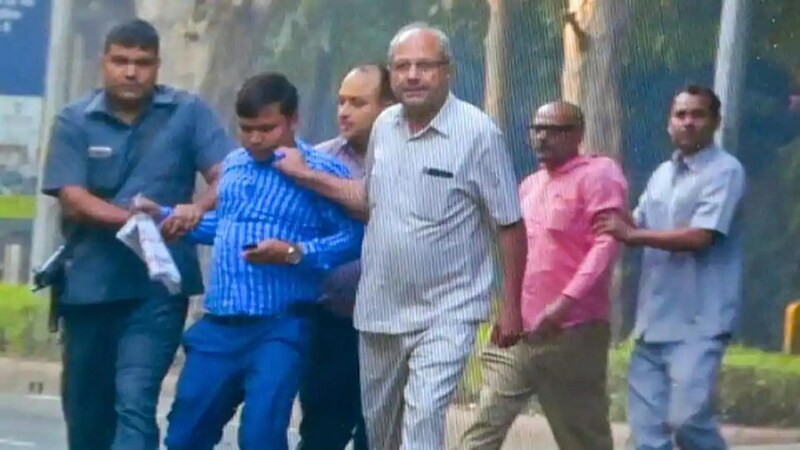 Four men allegedly loitering outside the CBI director Alok Verma’s residence were held by his personal security officers (PSOs) on Thursday morning, a police officer said. The men, Prashant Kumar, Vinit Kumar Gupta, Ajay Kumar and Dhiraj Kumar Singh, identified themselves as officers of the Intelligence Bureau, to the security team, according to the police. They have submitted their identity proofs and government health scheme and Aadhaar cards. “Identify proofs being carried by the suspects have so far suggested that they are IB officers. We are verifying the authenticity of the documents,” said an officer on condition of anonymity. The men, in plain clothes, were allegedly caught from the front and back gates of Verma’s high-secure residence at Janpath Road. They had come in two private cars. “They had been spotted loitering around for a long time since the early hours. They were finally detained after their behaviour aroused suspicion,” said an officer.